Gestalt psychology, according to Fritz Perls (1893-1970) its main originator, is an existential approach that not just deals with symptoms but with a total existence of the client. 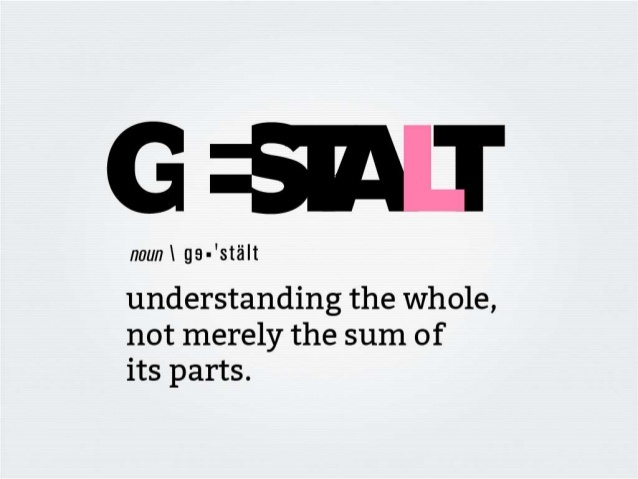 The German noun ‘gestalt’ means - a whole where the relationship between the parts cannot change without destroying the particular gestalt. The major thrust of their work was to show that humans do not perceive things in isolation but organize them through their perceptual process into meaningful wholes. One of their major concepts is the dynamic interplay between figure and ground, which give meaning to every phenomenon. The main focus of this therapy is always on the person, the present and the awareness of the present. Perls believed that creating a split between self and the environment leaves the picture incomplete. He rather believed in the contact boundary between the two, where all the psychological events takes place. Another central concept is the constant striving to maintain the homeostasis by the individuals. Organism satisfies its needs to restore the balance when equilibrium gets disturbed. 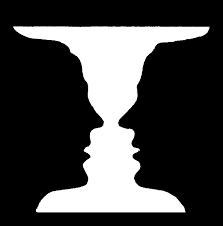 Gestalt psychotherapists use the techniques such as retroflection, deflection, confluence, internal dialogue and rehearsal to empower person and facilitate development of internal self-support by giving client’s a greater access to themselves and their emotions. It places value in self-awareness, the basic goodness in people and the human potential. It focuses on life meaning and experiences, subjective reality and our capability to achieve self-actualization.